St. Nicholas is the patron saint of sailors, fishermen, hikers, and occupies a leading place after the Mother of God among the saints of the temples consecrated in his name and number written icons. 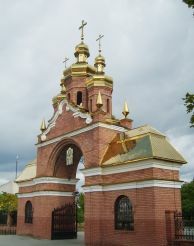 In 1992, Zaporozhye was founded congregation of the Church of St. Nicholas. Then in his first visit of His Holiness Patriarch of Kyiv and All Rus-Ukraine Filaret arrived to bless the priest, Father Vladimir (Goshovsky) to work in the church. 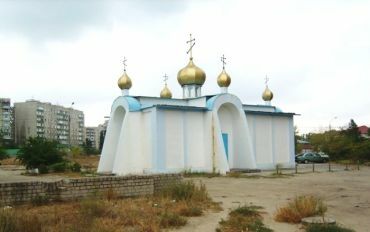 At the general council of the community members was decided to construct its own premises. After the allocation of land for the construction of temporary accommodation was erected a metal hangar spherical shape. The construction work involved members of the community, helping local residents. Parishioners brought embroidered towels, tablecloths and everything that could decorate the room. 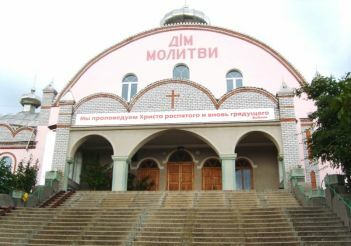 In 1994, at the Annunciation it held its first worship service. Meanwhile, we constructed outbuildings, a refectory, a smithy, a fence with a gate-chapel, planted trees and flowers. Construction of the new capital of the temple took place from 2000 to 2008. 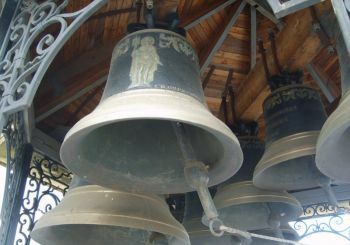 October 30, 2011 is a significant date for the parishioners of the Church of St. Nicholas. On this day Filaret sanctified the throne and the temple. 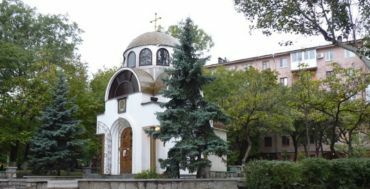 Church attributed to Kyiv Patriarchate. 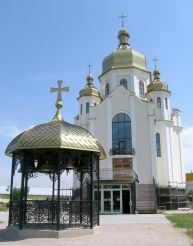 The services are held in the Ukrainian language. Images of saints on the iconostasis made in the style of painters Andrei Rublev and times of Ancient Rus. 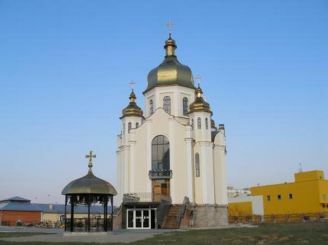 A white church with golden domes and roof with "crimson" bells of the famous Belgian Mechelen is one of the most beautiful temples of Zaporozhye and a favorite place of parishioners.